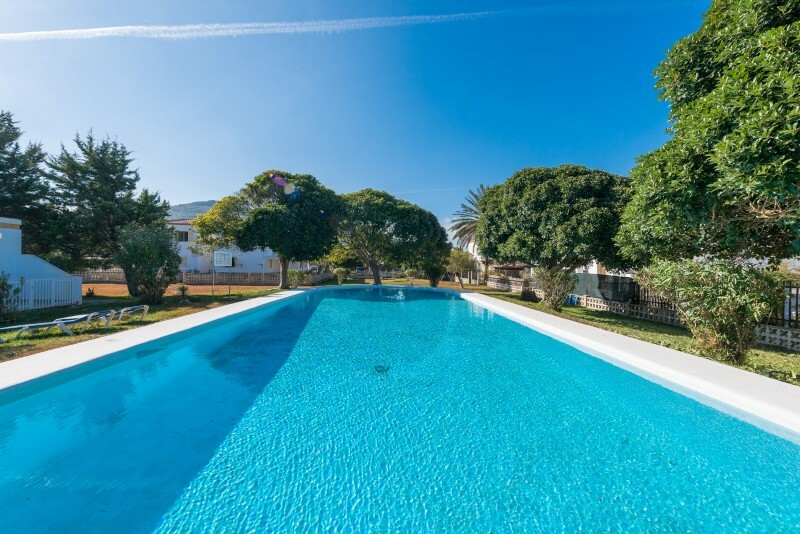 This fantastic semi-detached house in Puerto de Alcudia offers the same confort than a Mallorcan summer house near the sea to 5 guests. Wake up early in the morning and enjoy a delicious coffee at the terrace while caressed by the first sun beams. 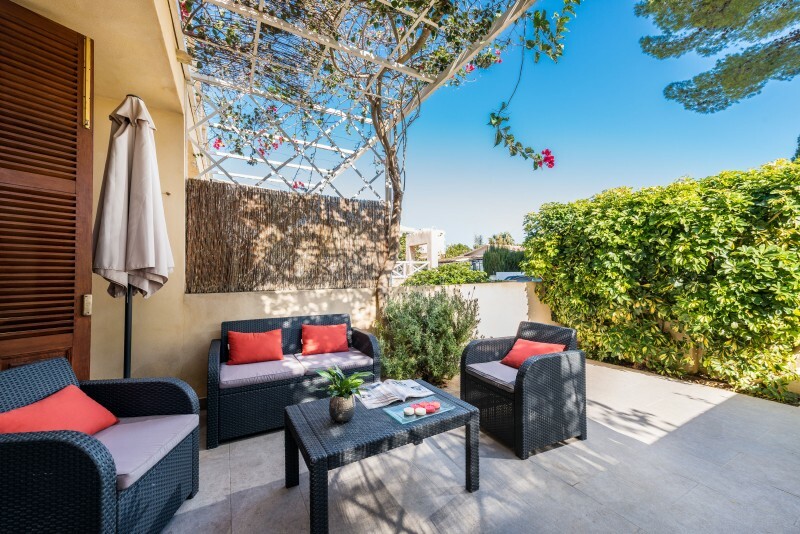 Later in the day, the best plan is to cook a delicious barbecue and enjoy it alfresco at the back courtyard. This is furnished with a table with chairs and an sliding awning in case you wish to spend a nice evening dining and enjoying some wine. But, before that, you will have been able to enjoy an amazing summer day at the beach which is about 850 metres or 10 minutes walk away. This two storey house offers a living-dining room open to the kitchen through a bar. Here, you can relax while watching the TV-Sat, enjoying a good reading or having lunch all together. The kitchen is very simple although with all utensils and appliances necessaries to cook, like a ceramic hob, electric oven, microwave and more. The house features 3 bedrooms with a closet each. One is on the main floor and offers a single bed. The other two bedrooms are upstairs and both feature a double bed. All the rooms have an electric radiator for the coldest days, and the two on the top floor also come with a fan. The only bathroom of the house has a tub and it's upstairs. You will find a washing machine, an iron and an ironing board in the house, of course, and they are placed at the terrace. We can provide a cot and a high chair in case you are travelling with your baby. 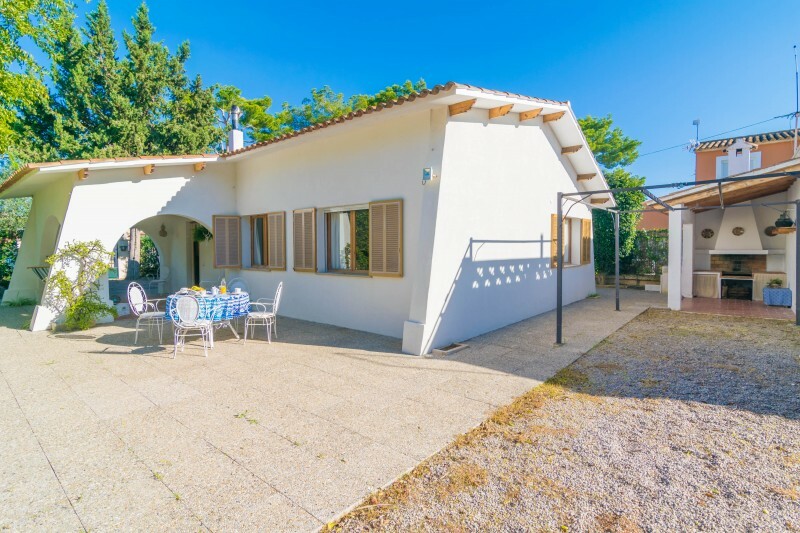 The location of this accommodation is perfect since it is in an urbanisation of Puerto de Alcudia which, apart from being a lively area with all kinds of services, shops, restaurants, cafes and supermarkets, everything also is all reachable on foot. In addition, in order to visit the nearby towns like Can Picafort, Alcudia or Puerto the Pollensa, the bus stop is only 270 metres away from the property and the bus passes by every 15 minutes in the summer, but you can also drive if you prefer. The town centre of Alcudia is worth a visit specially on market days, Tuesdays and Sundays. The wooden house of the courtyard is closed and not available to guests. The location is ideal for the bars and restaurants and only a short walk to the beach.The accommodation could have done with another bathroom as there were 6 of us staying there,but it was no major problem. Ansonsten alles i.o.kaffeemaschine war überaltert bad eignet sich nur für 3bis 4 Personen.